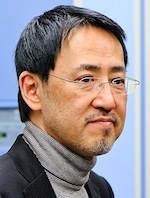 The University of Wisconsin-Madison’s Yoshihiro Kawaoka has been recognized as a 2014 Popular Mechanics Breakthrough Award recipient for his efforts to understand and prevent pandemic influenza. He joins a list of prominent innovators, scientists and engineers selected for the award over the past decade for their world-changing contributions, including: SpaceX and Tesla Motors CEO Elon Musk; XPRIZE Foundation founder Peter Diamandis; and humanitarian engineer Amy Smith. Read more.